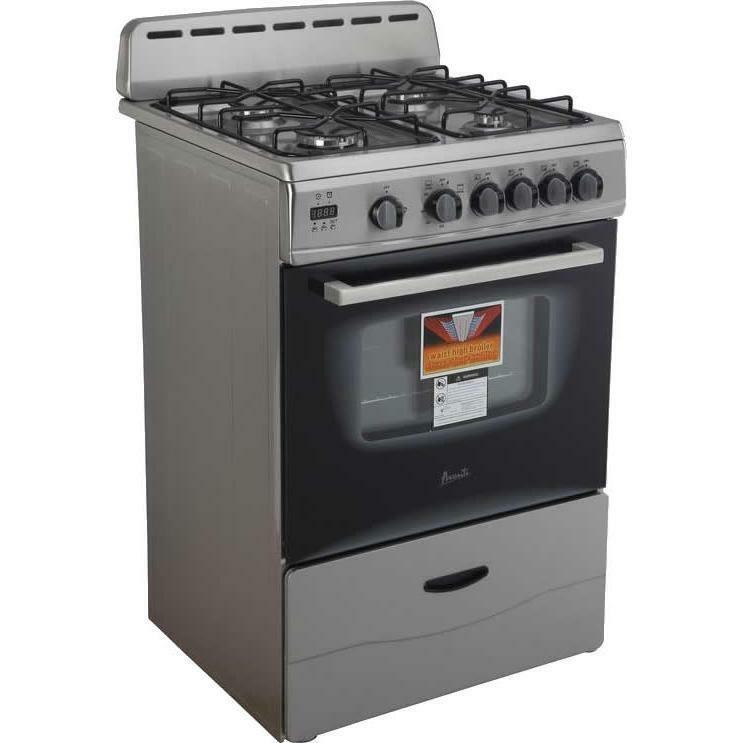 Avanti 24-inch freestanding gas range features a digital clock and timer, four sealed burners, cavity light with on/off switch and a storage drawer. The range is equipped with a light that illuminates the oven to enable visually controlling the food that is cooking. The oven racks are provided with a safety catch to prevent accidental extraction.